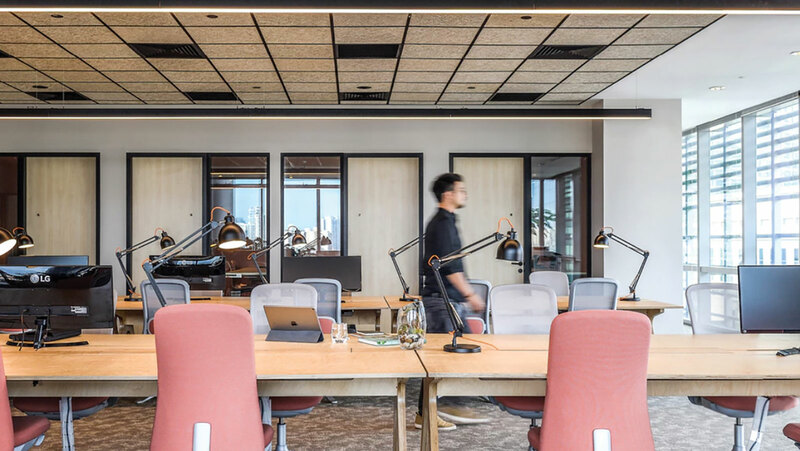 When global beverage firm Diageo needed to upgrade their Asia Pacific headquarters, architects M Moser were tasked with providing a complete office redevelopment. With a driving objective to “Inspire & Connect”, what they delivered is a platform that brings the many brands of Diageo to life, artfully blending experiences from retail, hospitality, workplace and the home into an immersive brand experience. Diageo is a global leader in beverage alcohol with an impressive collection of iconic brands including Johnny Walker, Guinness, Smirnoff and Tanqueray to name but a few. 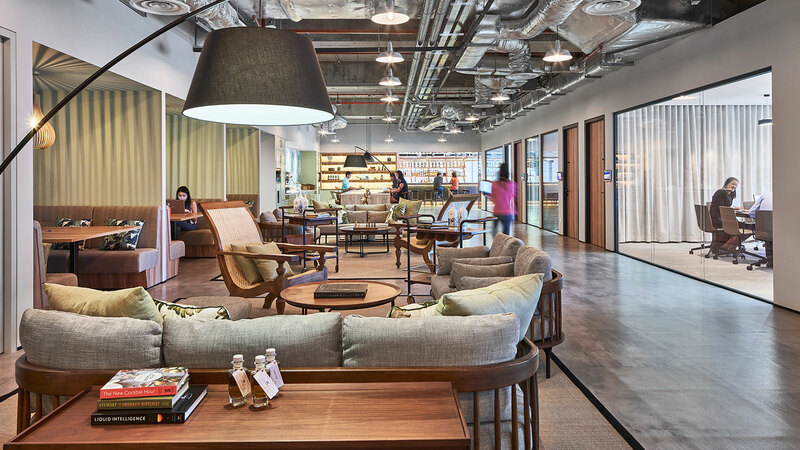 Their office in Singapore serves as the APAC headquarters, the centre for an active and mobile team servicing Diageo’s various brands in the region. M Moser’s design strategy was based on “people & culture” and “brand & marketing” needs. 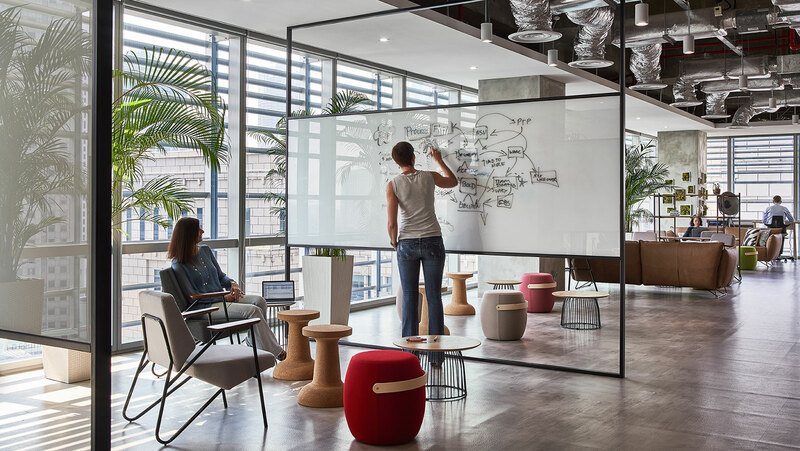 There was a desire to bring the outside in, to encourage closer relationships with customers and partners, and to foster a new working culture driven by a new global HR initiative, a mission to “Inspire and connect." 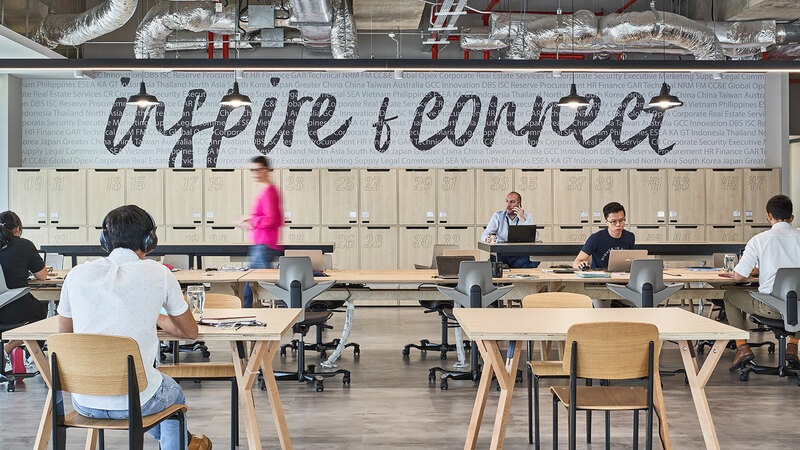 Speaking about the project, M Moser Associate Daniel McGing says: "Diageo’s new Singapore space is not only a unique workplace, but delivers an engaging and immersive brand experience. Designed around the user journey, a story unfolds in a series of unique occasions that recreate the moments and places where Diageo’s brand truly come to life, in The Store, in The Home and in The Bar. By doing so, the space is a carefully planned and curated brand environment reflecting Diageo’s business motto, “Celebrating life, every day, everywhere”. " 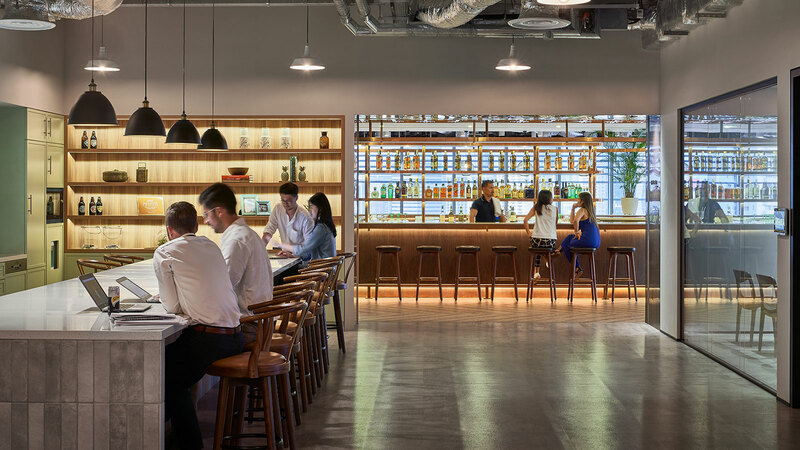 The Bar offers a focal point, and is designed to be “a bar you can work in, and not a bar at work” – a social and collaborative, informal zone. The Study, on the other hand, provides a quiet place for uninterrupted, focused work. It features acoustically treated materials and surfaces, and an arrangement of phone booths and quiet rooms along the core. With wellness in mind, every seat in the new Diageo workplace now has access to views and natural light. In particular, within The Study, The Conservatory is a space which overlooks a peaceful roof terrace and city park. This hidden corner offers a quiet retreat for rest, contemplation and rejuvenation. Task chairs from HÅG, soft seating from Offecct and social zone seating from RBM were Flokk products which featured on this project. Designs were chosen for their aesthetic appeal, to match the vibrant and modern atmosphere of the project. With wellbeing a major concern of the project overall, the health benefits of the task seating chairs HÅG SoFi & SoFi mesh were major advantages, and the sustainability credentials of all the designs did not go un-noticed. The ability to meet the different work settings and design requirement, using versatile products under the group was a key point. For example, the Capisco Puls is supplied in three different configurations within the same space and RBM Noor was specified in standard (6060) and bar stool (6090) varieties. The HÅG SoFi was chosen in solid & mesh. The exclusive Front of House area featured the Offecct Bop Bar and playful collaboration areas Carry On stools in various colours. Flokk's strong after sale service was a final deciding factor.